Virgo is the sixth sign of the zodiac. The sun enters Virgo at slightly different times each year, usually around Aug 22, sometimes the day before or the day after. This Greek goddess motivates fairness and virtue within us. She empowers our ability to “fight the good fight” in both word and deed, especially when we feel inadequate to the task. According to lore, she left earth during the Golden Age because of man’s inhumanity to man. She became the constellation Virgo. In astrology, people born under this sign, like Astraea, strive endlessly for perfection within and without, sometimes, naively overlooking the big picture because of their focus on detail. Astraea reestablishes that necessary perspective by showing us how to think more globally. To encourage this ability, draw a star on a piece of paper and put it in your shoe so that your quest for excellence is always balanced with moderation and sound pacing. To meditate on this goddess’s virtues and begin releasing them within, try using a bowl (or bath) full of soapsuds sprinkled with glitter (this looks like floating stars) as a focus. 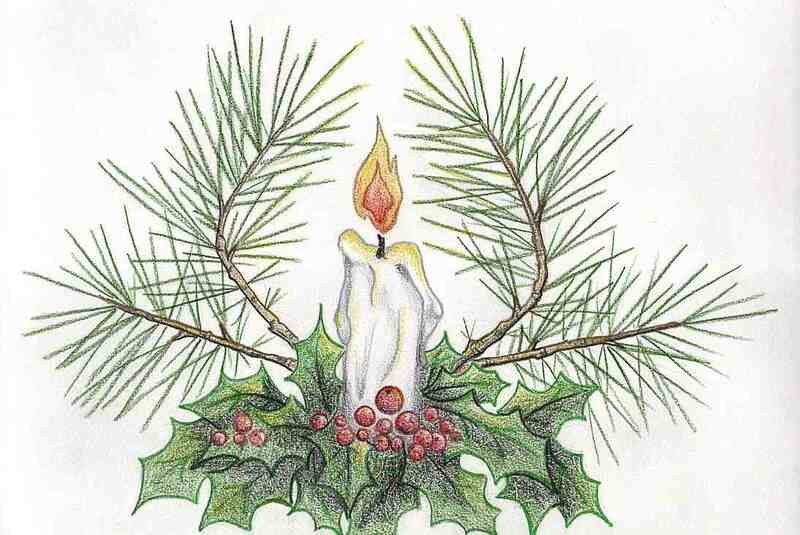 Light a candle nearby and watch the small points of light as they dance; each one represents a bit of magical energy and an aspect of Astraea. Tell the goddess your needs and your dreams, then float in her starry waters until you feel renewed and cleansed. The Sun is in Virgo from approximately August 21 to September 20, depending on the year. It is rare to find the stereotypical nitpicky, exacting, “clean freak” in modern-day Virgos. Although the sign of Virgo has evolved with the times, there are some unmistakable traits that remain. 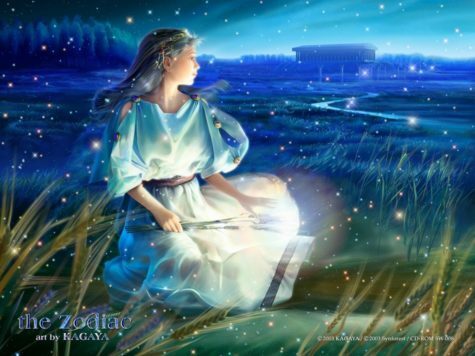 Virgo people are generally respectable, hard-working individuals who have a love of knowledge and know-how. 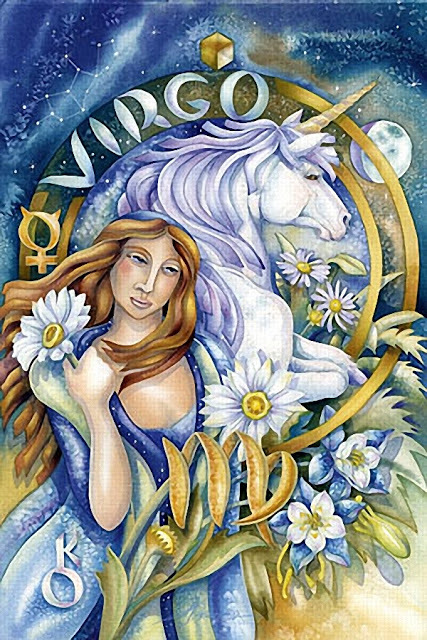 Virgo’s symbol, the Virgin, shows itself in the lives of Virgos through a love of all that is “natural” and a certain purity of spirit that keeps Virgos self-sufficient and self-contained, at least on the surface. Virgos are sensitive to their surroundings, and they tend to embarrass easily. They are generally reticent when faced with anything or anyone new. However, once they feel comfortable, they can talk up a storm. Many Virgo Suns are not too comfortable in the limelight. These types are just fine living in the background, as long as they feel useful and appreciated. Solar Virgos have a strong sense of responsibility. Even when they’ve convinced themselves to be irresponsible about something or the other, they worry about it. Virgo, as an Earth sign, has a notable connection to the body. Solar Virgos are generally very body-aware. In some cases, this shows up as some form of hypochondria, but, for the most part, Virgo is simply quite concerned with health matters and nutrition. 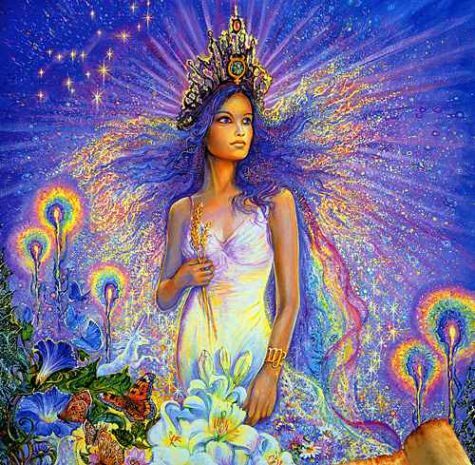 Virgo is attracted to all that is natural and pure, but is generally unafraid to explore all that is not. In fact, Virgo is an intensely curious sign. Still, there is a strong desire to remain pure on some level, despite all of Virgo’s curiosity and drive to know things. Those Virgos that find a true interest or “calling” easily become connoisseurs–their attention to details and enormous observation powers give them the ability to learn all of the ins and outs of any subject. These people love to do research, in addition to analytic or detail work. They’ll happily pick apart practically anything, although they are less adept at putting things back together, and often have trouble grasping the big picture. Virgo Suns who are stuck in the practical, material world may learn a lot about themselves if they are brave enough to try placing their lives on automatic pilot once in a while. Letting some things go will do wonders for their spirit. Virgos tend to be too hard on themselves. They worry about their health, their performance at work, all the things they haven’t done, and the emails that might be waiting for them while they are away from their computer. When they’re not feeling well, they can be overly critical and nervous. They fuss around, have a whole slew of assorted little complaints, and throw small tantrums. Most Virgos can be rather private and fussy about their work, or their personal workspace. They get nervous when others look at their unfinished work, and they are quite protective of their methods of doing things. Despite an overall lack of confidence, Virgos can be mighty proud–even arrogant–when it comes to their work, routines, or hobbies. Secretly, they think their methods of doing things are the best. Often, they are! They do take pride in the little things they do, even though, in a broader sense, Virgos can be rather self-effacing and self-critical. Solar Virgos often confuse people when their curiosity is mistaken for passion. The surprising part is that Virgo, although knowledgeable, doesn’t always get its hands dirty. Their willingness to explore is often kept at the intellectual level. However, Virgos are often well-respected and valued in their circles for their loyalty, research skills, willingness to lend a hand, and their excellent powers of observation. They are generally kind and helpful souls who, when appreciated, do everything to make things work. There’s an odd combination of the intellectual and the practical in Virgo that is sometimes mistaken for coolness. In fact, Virgos are often self-effacing and shy. They’ll brush off your compliments quickly and, sometimes, critically; but don’t let that fool you. They need your respect and appreciation. In fact, the happiest Virgos are the ones who feel appreciated and useful. Add plenty of worthwhile projects to keep them busy, and Virgos can be some of the sweetest, kindest people around. The phrase “Dog Days” refers to the hottest days of summer. The Old Farmer’s Almanac lists the traditional timing of the Dog Days: the 40 days beginning July 3 and ending August 11, coinciding with the heliacal (at sunrise) rising of the Dog Star, Sirius. The rising of Sirius does not actually affect the weather (some of our hottest and most humid days occur after August 11), but for the ancient Egyptians, Sirius appeared just before the season of the Nile’s flooding so they used the star as a “watchdog” for that event. Since its rising also coincided with a time of extreme heat, the connection with hot, sultry weather was made for all time. In August, we celebrate the beginning of the Corn Moon. This moon phase is also known as the Barley Moon, and carries on the associations of grain and rebirth that we saw back at Lammastide. August was originally known as Sextilis by the ancient Romans, but was later renamed for Augustus (Octavian) Caesar. Some Native American tribes knew that the sturgeon of the Great Lakes and Lake Champlain were most readily caught during this full Moon, for them it was the Full Sturgeon Moon. Others called it the Green Corn Moon or the Grain Moon. 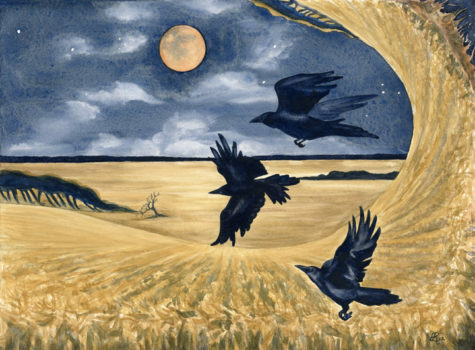 As the summer begins winding down, we’ve made it through the first harvest of Lammas/Lughnasadh, and now it’s time to think about bringing in the next phase of crops. Grain is ready to be threshed and baked into bread. If you have a garden, pick your herbs and veggies, so you can preserve or dry them before the cooler days set in. Gather your herbs and hang them in a dark place to dry, so you can use them all winter, either for magical needs or culinary ones. Energies should be put into harvesting, gathering vitality and health, also friendships. Harness some of the Corn Moon’s fiery energy for your ritual and spell work. This is a good time to focus on your spiritual and physical health. It’s the time to harvest what you can now to put aside for later use. What sacrifices can you make today that will benefit you further down the road? 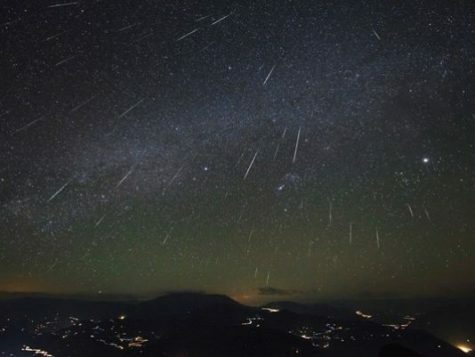 The Perseids is one of the best meteor showers to observe, producing up to 60 meteors per hour at its peak. It is produced by comet Swift-Tuttle, which was discovered in 1862. The Perseids are famous for producing a large number of bright meteors. The shower runs annually from July 17 to August 24. Best viewing will be from a dark location after midnight. 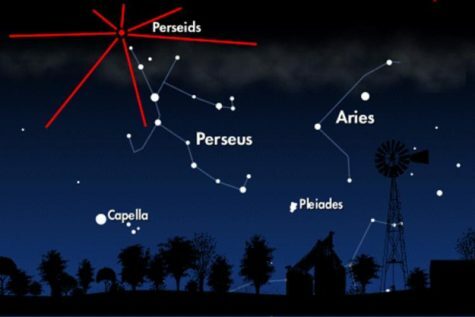 Meteors will radiate from the constellation Perseus, but can appear anywhere in the sky. It peaks this year (2017) on the night of August 12 and the morning of August 13. The waning gibbous moon will block out many of the fainter meteors this year, but the Perseids are so bright and numerous that it should still be a good show. Of course, like with any meteor shower, it’s worth starting to watch a few days prior to the peak date. Although meteor streams like the Perseids have been modeled and mapped over the years, there are still lots of surprises out there. Plus, starting an early vigil is insurance that you at least catch some action in the event that you’re clouded out on game day! The Perseids are already active, spanning a season from July 17th to August 24th. 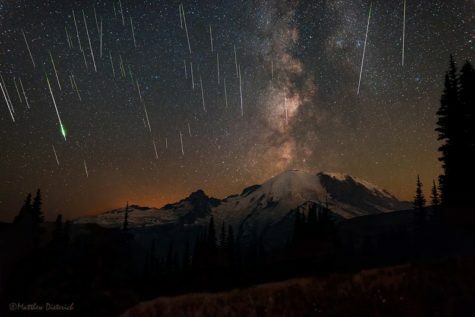 The Delta Aquarids is an average meteor shower that can produce up to 20 meteors per hour at its peak. It is produced by debris left behind by comets Marsden and Kracht. The shower runs annually from July 12 to August 23. Best viewing will be from a dark location after midnight. Meteors will radiate from the constellation Aquarius, but can appear anywhere in the sky. 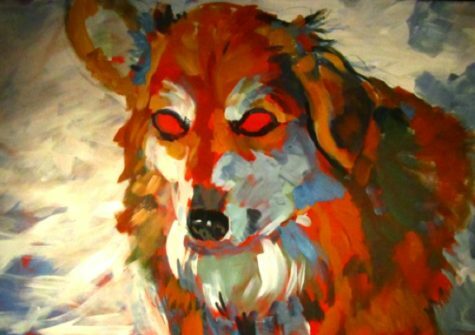 The Dog Days originally were the days when Sirius rose just before or at the same time as sunrise, which is no longer true, owing to procession of the equinoxes. The Old Farmer’s Almanac lists the traditional period of the Dog Days as the 40 days beginning July 3rd and ending August 11th, coinciding with the ancient heliacal (at sunrise) rising of the Dog Star, Sirius. These are the days of the year with the least rainfall in the Northern Hemisphere. These canicular days get their name from the Dog Star, Sirius, the brightest star in the constellation Canis Major. At this time of the year Sirius disappears into the Sun’s glow. Both heavenly bodies are in conjunction, rising and setting at around the same time. Ancient stargazers thought that the heat from Sirius, the brightest star in the heavens, combined with the heat of the Sun produced the hottest weather of the year! Even though Sirius is hotter than our Sun it is much too far away to warm our planet. In Ancient Rome, the Dog Days ran from July 24th through August 24th, or, alternatively, from July 23 through August 23rd. The period was reckoned as extending from 20 days before to 20 days after the conjunction of Sirius (the dog star) and the sun. The Romans sacrificed a brown dog at the beginning of the Dog Days to appease the rage of Sirius, believing that the star was the cause of the hot, sultry weather. 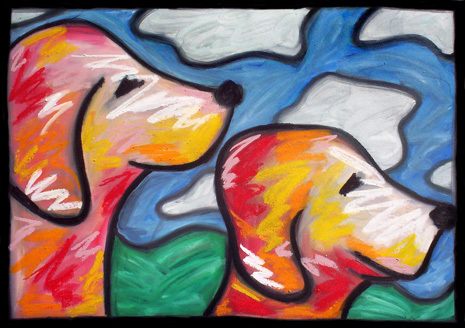 In many European cultures (German, French, Italian) this period is still said to be the time of the Dog Days. “Dog Days bright and clear indicate a happy year. The ancient Egyptians saw Sirius as a giver of life for it always reappeared at the time of the annual flooding of the Nile. When the star sank in the west and disappeared from the night sky, it remained hidden for 70 days before emerging in the east in the morning. This was viewed as a time of death and rebirth. The Egyptians copied this period in their funeral ceremonies. When a king died, his body was mummified, then interred in a pyramid or other tomb. By custom, burial took place 70 days after death, when the king was “reborn” in the stars. Sirius was astronomically the foundation of their entire religious system. It was the embodiment of Isis, sister and consort of the god Osiris, who appeared in the sky as Orion. This is the period of time Sirius disappears from the sky — sequenced in the myth when Isis is hiding until the birth of her son, Horus — eventually the star reappears after Horus is born — resurrection. On the first day of Sirius’ reappearance the ancient Egyptians expected an abundant harvest, if the star appeared bright and clear. If Sirius appeared dull and red, a poor harvest would result. The Dog Star, Sirius is also known as our Spiritual Sun, esoterically the cosmic heart of our physical Sun. 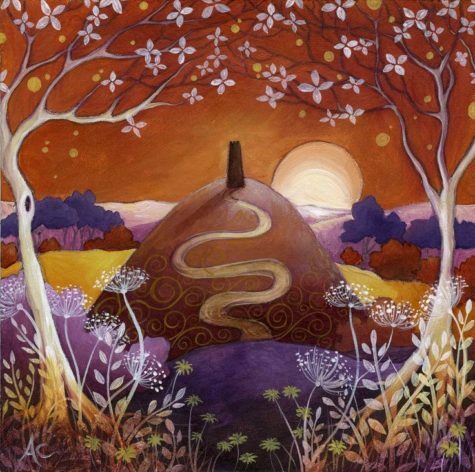 During the Dog Days when Sirius disappears into the Sun’s glowing light, it could be said that our physical Sun is embracing our Spiritual Sun! After such a celestial union a rebirth or resurrection can be expected. The 1552 edition of the The Book of Common Prayer, way the “Dog Daies” begin July 6th and end August 17th. This corresponds very closely to the lectionary of the 1611 edition of the King James Bible (also called the Authorized version of the Bible) which indicates the Dog Days beginning on July 6th and ending on September 5th. A recent reprint of the 1662 edition of the Book of Common Prayer contains no reference to the Dog Days. In the Southern Hemisphere, they typically occur in January and February, in the midst of the austral summer. The reigning Egyptian Queen of the Constellations, Sopdet lies in Sirius, guiding the heavens and thereby human destiny. 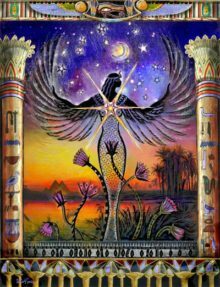 Sopdet is the foundation around which the Egyptian calendar system revolved, her star’s appearance heralding the beginning of the fertile season. Some scholars believe that the Star card of the tarot is fashioned after this goddess and her attributes. Note: The dog days and the dog star Sirius are also associated with the Egyptian Goddess Hathor.. The long, hot days of summer are known as “dog days” because they coincide with the rising of the dog star, Sirius. In ancient Egypt this was a welcome time as the Nile rose, bringing enriching water to the land. So, go outside at dawn, and welcome the Sun. Make an offering of water, and whisper a wish to Sopdet suited to her attributes and your needs. For example, if you need to be more timely or meet a deadline, she’s the perfect goddess to keep things on track. If you’re curious about your destiny, watch the eastern region of the sky in the evening and see if any shooting stars appear. If so, this is a message from Sopdet. A star moving on your right side is a positive omen/ better days ahead. Those on the left indicate a need for caution, and those straight ahead mean things will continue on an even keel for now. Nonetheless, seeing any shooting star means Sopdet has received your wish.